Something I overlooked in my review of Instacast was that you actually can control AirPlay without switching to the system player. It’s not exactly obvious and most users wouldn’t be able to find it without someone else pointing it out to them. 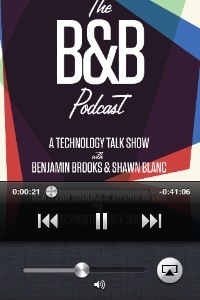 While listening to a podcast in Instacast, double-click the home screen button to bring up the multitasking bar. Swipe from left to right twice on the multitasking bar. 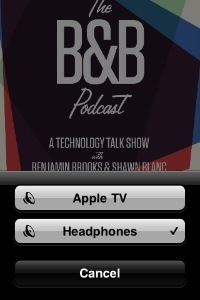 Tap the AirPlay button on the right-hand side and choose your speakers. This solves one of the two issues I had using Instacast for podcast aggregation instead of the traditional iTunes syncing method. I’d be all set if Apple would implement some sort of backup system without the need to tether to a computer. Think Time Machine for iOS that automatically backs up your device to a Time Capsule, once per day, while connected to a wall charger.